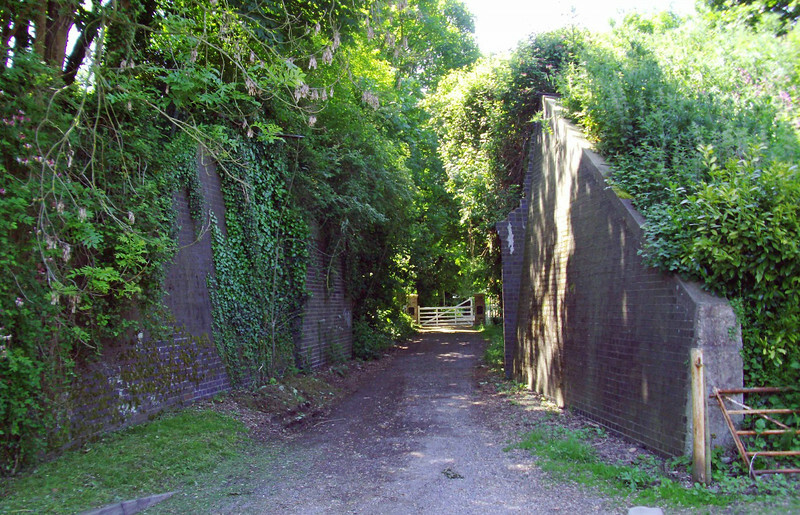 A shaft of sunlight penetrates the dense vegetation on the track bed north of Watton Station. These are the abutments to bridge number 2400 located at the end of Loch Lane, Neaton with the station to the left. NGR TL 918016. The Loch refers to a lake which was a ballast hole during construction of the railway. Much material was needed to construct the embankments for a mile north of the station. The earth was excavated in 1875 during the extension to Swaffham. The lake was called Loch Neaton in appreciation of the Scottish navvies who constructed this part of the line.The road in the scene leads to Loch Farm.